We like reading aloud to children from infancy on, because there’s only one thing cozier than holding children on our laps while we read them a much-loved story, and that is being those children. While their mother’s voice and words tell of danger and magic,her lap and arms wrapped round tell them they are safe and loved. As the kids become entranced with the sound and rhythm of words, they also begin to understand their power–to make up characters more real than some relatives, to create worlds that never were but should have been, to explain the world around them–and to change it. 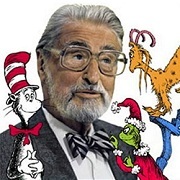 Dr. Seuss is a good person to start with when children are very little and still learning with all five of their senses–he makes them fall in love with the sound of the words, the feel of them rolling around in their mouths. Dr. Seuss uses language the way children do, playing with rhyming nonsense syllables, improvising words and grammar: “I’ll make you again the best Sneetches on beaches/ And all it will cost you is ten dollars eaches.” The rollicking rhythms and double and triple rhymes are a treat for the ear, while their silliness is irresistible. That’s another part of the good doctor’s charm for children, of course. He believes children are actual people–merely miniature ones. He knows they are still practicing at it, understands their flaws, and teases them lovingly. 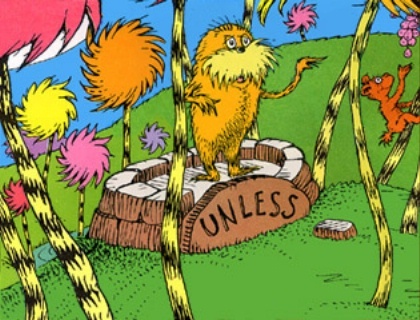 “I do not like green eggs and ham” is the resolute statement of a child who has learned to say no, but has not yet learned when to say it. Children read the book and giggle, seeing their own stubbornness taken to absurd extremes. 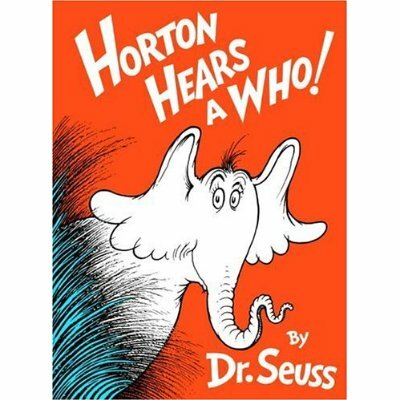 Dr. Seuss shows them the value of dreaming large dreams, in technicolor and 3-D. Why settle for seeing the ordinary horse and wagon your eyes saw on Mulberry Street, when your mind can see elephants and sleighs and police and marching bands? Why limit your circus to ordinary lions and tigers and acrobats when you could have a Drum-Tummied Snumm, a Spotted Atrocious, and To and Fro Marchers striding on top of each other? Yes, the world is big and kind of scary, he tells, them, and yes, “Bang-ups and Hang-ups can happen to you,” but he assures them they can master it: “And will you succeed? Yes, you will indeed! (98 and 3/4 percent guaranteed. 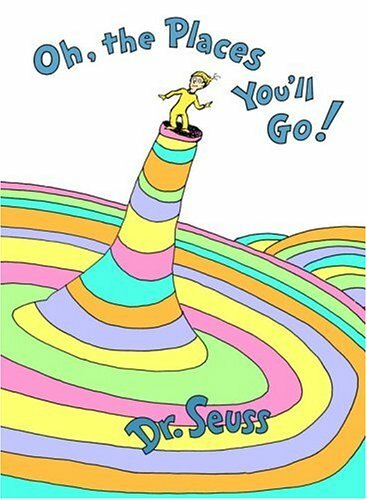 )” He shows them that we all have a choice: either meet the world head on, risking the occasional crash, or sit around waiting for life to happen, like the bored children rescued by the magical cat. He shows them the tools they have for mastering their world. “You have brains in your head./You have feet in your shoes./ You can steer yourself/ any direction you choose.” They have the power to honor their promises–“I meant what I said and I said what I meant/ an elephant’s faithful, one hundred percent.” They have the ability to look beyond each other’s differences and realize that “Sneetches are Sneetches, and no kind of Sneetch is the best on the beach.” They have kindness, which is more powerful than the meanness of all the grinches in the world. 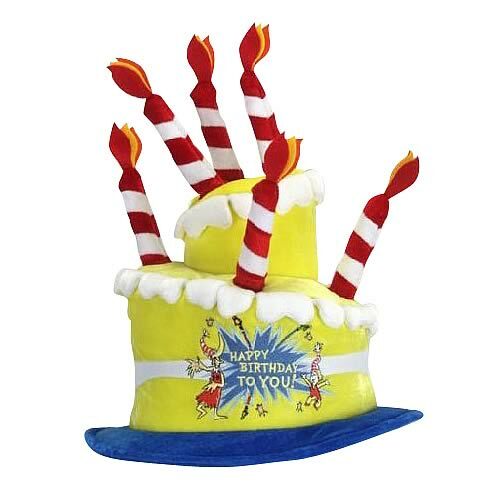 Dr. Seuss is not much more respectful than they are of the boring grownup world–the Cat in the Hat, after all, is an outlaw, doing things that would horrify mother. But mother doesn’t have to know about it, because the Cat comes back with his magical machine and cleans up all the evidence. The boy in If I Ran the Circus envisions the old guy he works for as the target of the Blind Bowman, the wrestler of the Grizzly-Ghastly, and the man who is pulled through the air by three Soobrian Snipe. The imagined revenge of the short and powerless is sweet (and funny). 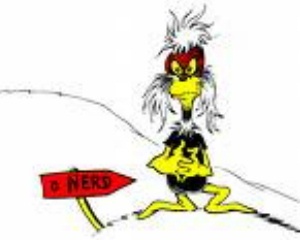 But all of this so far has been about the words and people and stories of Dr. Seuss. We haven’t begun to talk about his amazing pictures: the proto-beanie-baby Thing One and Thing Two; the unbudgeable North-going Zax and South-going Zax with the freeway bypass constructed over their heads; the ditsily blissful Eden of Truffula trees, with Swomee-Swans gliding in a blue, blue sky above, and a blue, blue lake filled with Humming-Fish. 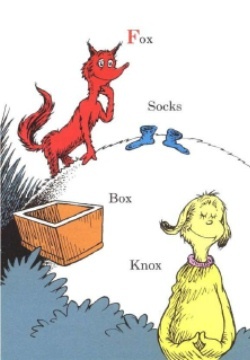 We will read Dr. Seuss to the children of the Almost Perfect State, because he makes them laugh, makes them think, and makes them love words and books. Because he tells them what is good about the world that is, and what is better about the world that is not yet, but could be. And because he tells them they have the power to build the world anew, and make a better job of it than we did. 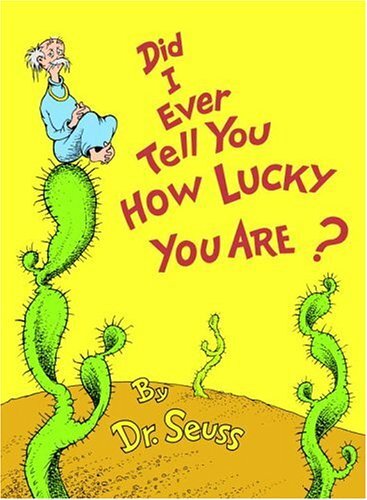 Especially a child who is read to from the books of Dr. Seuss.